Current views held by many modern spiritual aspirants who are of the new so-called New Age Religious Movement, believe a combination of the two‚ where God is both transcendent and immanent. 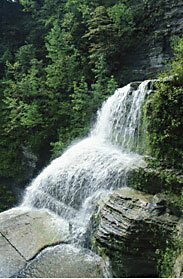 God is something that is all at once energy, source, creator, destroyer, healer, and always was and always will be. These New Age religions take pieces from many religions, and wrap them into a smorgasbord of beliefs and viewpoints that make sense to them. As always love is a key component to living a good life. Is God a perfected version of us? Is God more like a universal energy force that pervades our being and is within and without all living and non-living things? What works for you? Does one make more sense than the other to you. Does 'making sense' even enter into the question? At any rate, we long to know what to do with our lives, and how to solve these persistent problems and questions. That is the path we are on and making choices and searching for answers seems to be a large part of that process. Enlightenment Souls: What do they say? We are created to worship God, and if we don't worship God, ....we will worship something else. Understanding this truth, and knowing that we are all so needy, has really helped Alex and me in our ministry to people. 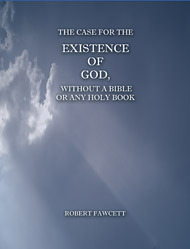 From the SPECIAL REPOPT,The Case For The Existence Of God, Without A Bible Or Any Holy Book.